In the last post, I shared one theory of the Mhoon descendants that has spread like wildfire among them and is now widely accepted, even though it is not true. In this post, I would like to share something that seems to be loosely based upon that theory, yet expands on it by adding a dose of imagination. Though it makes a good story, it isn't true. It is nearly all fiction with a few facts thrown in to make it believable. Is this how family lore is born? 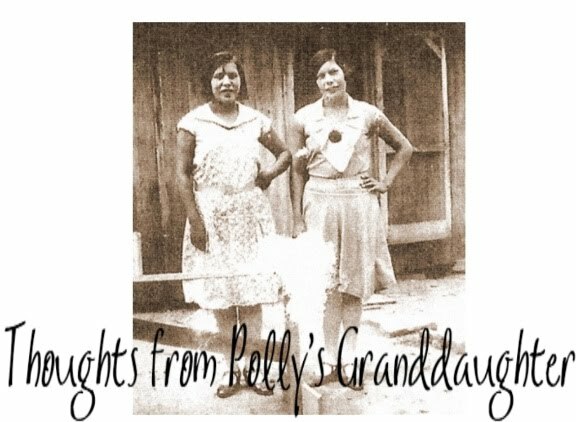 Please read, "Why Grandmother is Cherokee, but I'm not." It is important that you read it before you continue on or you might not understand the rest of this post. "Around 1750 A.D., Sallie Sonicooie was born to Cherokee parents in Cherokee Territory and raised as Cherokee." The Sally the writer is referring to is our Sally Hughes, Cherokee. We have never found any documentation that suggested the names of her parents. I know there was a notation in the index of a book that listed her name as Sally Hughes with "(Sonicooie)" beside it, but there is no other reference to this found. Also, research suggests she was much younger than this writer says. "She was my great, great, great, great grandmother." Based on what documentation? The research suggests she is not his ancestor. "As she grew up, more and more white settlers were moving into Cherokee Territory and little by little the land of the Cherokee was being taken over." Again, based on what documentation? First it was Cherokee Nation, not Cherokee territory. It was a nation unto itself and not part of the United States. According to the letters of Benjamin Hawkins, the Cherokee children in 1796 were extremely frightened when they saw him which would lead me to believe they were not accustomed to seeing a lot of white people at that time. Sally Hughes was grown by this time so it seems that the writer is taking liberty with Cherokee history by this comment. "Sally fell in love with and married a white trader named Bernard Hughes." Documentation does not support this statement. Sally never married Bernard Hughes nor did she have children with him. There is also no documentation that we have ever found that says who Sally might have "fallen in love with." We know who she married or had children with, but we don't know if she was "in love." No matter what, her life is not a "Pocahontas Story" so no need to over romanticize it. ""Barney" died and left Sallie two 40 acre parcels. Her house and farm was on one parcel." Not only did Sally not marry a "Barney", Cherokees didn't own land. Whites didn't own land in Cherokee Nation. No one owned land in Cherokee Nation which is where Sally lived. The land was held in common by the nation as a whole. No husband, whether he would have been white or Indian, left his wife any "parcel" in the Cherokee Nation. Cherokees only owned the improvements on the land but never owned the land individually. Once again, the writer seems to be taking liberty with Cherokee history. "It also provided her with a good income from a ferry that transported travelers across the river that ran through her property." Sally did have a ferry, but she also had partners in that venture per documentation. "The other parcel contained a gold mine." The plot Sally had her improvements on was part of the Gold Land Lottery in Georgia. The valuations I have seen did not mention "a mine." "Because Sally was Cherokee, the government forced her to auction off the parcel with the mine since Indians were not allowed to own mines." Ok, excuse the language, but bull sh*t! Cherokees could have owned mines in the Cherokee Nation if they wanted. They were not subject to US law. They had their own! Once again, the writer is taking liberty with Cherokee history and frankly, it is starting to get on my nerves! What documentation does this writer have that says Sally auctioned off this "parcel"? If she had sold that land, she would have met the same fate as the Treaty Party leaders! Selling Cherokee land without council approval was an offense punishable by DEATH! "She also lost the ferry when her white neighbor convinced the county to change the road to cross the river on his property." This is not supported by documentation either. Sally wrote a letter that discussed some white men who redirected the road so that it would lead to their ferry and take her business. She didn't lose her ferry, though she did lose business and apparently every attempt was made by the whites to dispossess her of her ferry. Also, Sally wrote this letter in the 1830s, long after the writer claims she had already been married to Joel Mhoon and given birth to Stark. "Joel Mhoon was an English immigrant’s son who moved to Cherokee Territory to seek his fortune." According to what documentation? I've seen nothing that suggests Joel Mhoon ever lived in Cherokee Nation. Revising history again. "There he met Sallie and fell in love." Again, "love." Ugh.......she isn't Pocahontas, remember? And what documentation says Sally ever met Joel Mhoon? "When he asked the Cherokee elders what he must do to become Cherokee and properly marry Sallie, he was told that if he lived as a Cherokee he was Cherokee." Ok, I just threw up in my mouth a little! Disgusting! That is such a romantic notion not based in truth, I don't even know what to say other than it isn't true! Show me the proof of this claim! What were the names of these so called elders who said this? "They married sometime around 1810 and in 1811 they had a son." Once again, based on what documentation? By the date of birth this writer has for Sally, she would have been about 60 or 61 years old when she supposedly gave birth to Stark Mhoon. How many 60+ year old women do you know who have given birth? "Stark Mhoon was my great, great, great, grandfather." That may or may not be true. 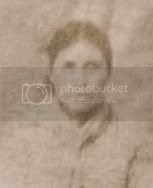 I am not interested in the Mhoon genealogy, other than to dispel the myths they have created in which they claim Sally Hughes, Cherokee, as their ancestor. "Stark Mhoon, married Mathenia Mullen, a full blood." Documentation that she was a full blood? "They were very suspicious of the white-man and his lists and avoided being listed on any lists other than the census." Um, I don't believe this. Sally Hughes, who they claim as their ancestor, was on the "lists", so why wouldn't her son be? (Her real children were on "the lists"!) Plus, those "lists" were not optional. If they were Cherokee, they would have been on them whether they wanted to be or not. "When they got wind of plans to re-locate the Cherokee, they packed up and moved to Missouri, thus avoiding the Trail of Tears." Sure. Sure. That's why they moved. There is no documentation to show they ever lived in Cherokee Nation. There is no documentation to show they were Cherokee, but they packed up and moved to avoid the Trail of Tears after the Treaty of Echota was signed, and despite the fact they could remain in the east if they wanted to give up Cherokee citizenship. By moving, if they were Cherokee, they gave up the citizenship anyway, so what was the big deal in moving at all? Why not just stay in the east? Others did. "They hid their heritage in fear that they might be forced to relocate to Oklahoma." Shut up! It is getting to be too much! Come on! Did he forget that if they were Cherokee and raised in Cherokee Nation, they would have most likely in those days, only spoken Cherokee? And if Stark's wife was a full blood, how could she have hidden her heritage from people who looked at her? Common sense! Also, there was no Oklahoma back then. It was Indian Territory. "In 1896, Stark’s son petitioned thru friends under the Dawes Act, stating their heritage, tried to enroll Stark and himself in the Cherokee nation." That is not what he did. He filed an application to try to get citizenship in the Cherokee Nation. He petitioned himself, using family and friends to give testimony on his behalf. Stark was dead so he could not be included. Also, that was one of the 1896 applications, which were all thrown out. "Since Stark’s mother was not registered on the Dawes list and since he could not produce her birth certificate (she probably didn’t have one), they were declined." No, that isn't why they were declined. The "Dawes list" wasn't even finalized until 1902, with some additions later. Stark's son applied in 1896, remember? "I find it ironic that the Cherokee denied citizenship to Stark based on the white man’s list." Um, whatever. That isn't true and it is always non-Indians who call the Dawes Roll a "white man's list." They forget the Cherokees had an important role in deciding who was or was not included on that roll. "Clearly, in the two generations since Joel Mhoon had become Cherokee simply by living as a Cherokee, attitudes had changed." Revisionist history. What documentation does he have that Joel Mhoon ever lived in the Cherokee Nation, that he was married to a Sally Hughes, or that he was the father of Stark Mhoon? "If my great, great, great grandfather was not accepted as Cherokee, then, of course, I have no chance of being able to claim to be Cherokee either." Stark Mhoon is not the one who applied. It was his son, William Green Mhoon, which I believe would be the writer's great great grandfather. And right, if they weren't Cherokee, then neither is he. "To members of the Cherokee Nation, “being Cherokee” means being a member (or citizen) of the Cherokee Nation. It has nothing to do with race just as being a citizen of the United States has nothing to do with race. To be Cherokee, you must be accepted by the Cherokee based upon the laws of the Cherokee Nation." Wow! He finally got something right! "So, by Cherokee law, just because my grandmother was Cherokee, that does not make me a member of the Cherokee Nation! However, I think I have the right to say that I am Cherokee-American. It is in my blood!" First, the writer needs to prove his grandmother was Cherokee. He has not done so. He just makes the claim and expects his reader to believe it. Until he can prove his ancestors were actually Cherokee, he has no right to claim he is Cherokee, of Cherokee descent or Cherokee-American because he has no proof it is "in his blood." Do you see the conflicts between this story and the timeline of factual events? Do you see the conflicts between this story and actual historical facts? Do you see the conflicts between this story and documented genealogical facts? That is how we can tell the difference in things based in truth and those that are not. I think we just saw how family lore gets started. Someone decides to add some pretty ideas to a few facts that may or may not be connected and then boom, you have a story that will be passed down from generation to generation until the family makes it such a part of their lives, they will never accept it is not true. Stay tuned! Documentation coming to tell the real story of Sally Hughes, the Cherokee woman who owned the ferry. You will see who she was and who she wasn't, no lore included! **Note of interest - The writer of this piece I dissected above posted on an Indian Country Today piece about Elizabeth Warren, apparently making the argument, using his own false claims as an example, that she might have been Cherokee. See the last comment on this article - What's the Deal With Elizabeth Warren?